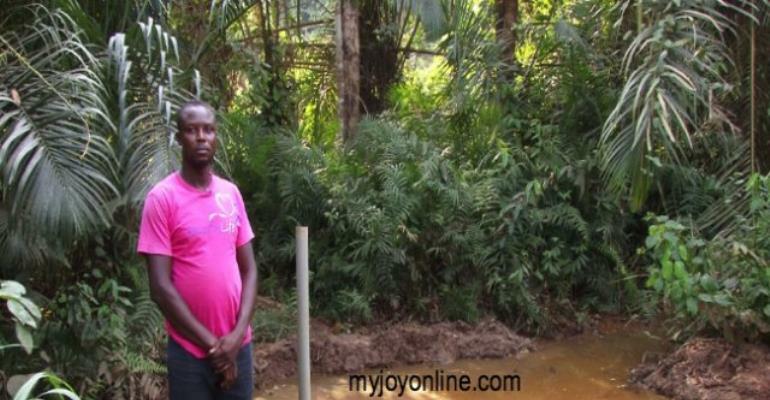 “The moment you use it to water your crops, the fungus then attack the roots of the plants,” Danso Samuel who is a member of the Export Farmers Association in Begoro told Joy News. The Paramount Chief of the Efutu Traditional Area, Nenyi Ghartey VII, has appealed to government to revamp the defunct Pomadze Poultry Farm to provide jobs for the youth in the area. He said the structures of the factory are going waste, and called for it to “be rehabilitated in phases”. He added the area could be “used to establish a Micro Livestock Project and a Residential Youth in Agriculture Entrepreneurship Programme to train the youths in the production of small ruminants, mushroom and others”. The Omanhene made the proposal at a durbar in Winneba to mark the 2017 celebration of the annual Aboakyer Festival by the people of Winneba. The festival was generally peaceful this year as the Winneba town was under heavy security presence from both the police and the military. Despite its peaceful celebration, the 2017 Aboakyer Festival lost a part of its shine as the Dentsirfo Asafo Company boycotted the event. The hunt for a deer, the climax of the festival, was thus done by only the Twafo Asafo Company. The animal was presented to Omanhene Nenyi Ghartey, and later to the Central Regional Minister, Kwamena Duncan and the Chieftaincy, Religion and Culture Minister, Kofi Dzamesi who were present at the durbar. Nenyi Ghartey VII also hinted on the threat posed to the hunting ground for the sacred deers. He solicited support from the President for the place to be preserved and properly managed for tourist purposes. 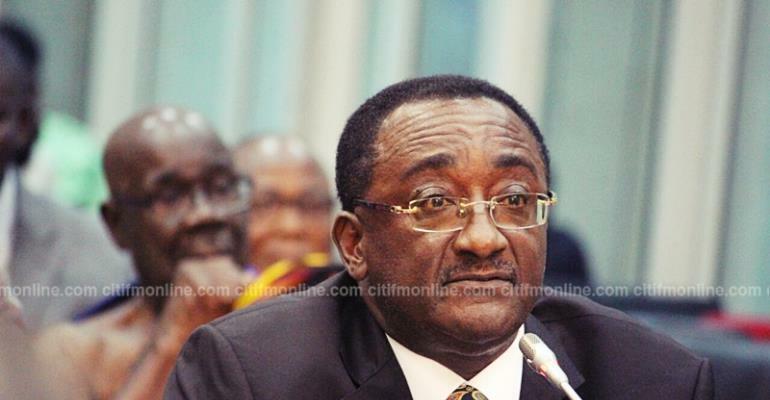 “We have petitioned the management of the Ghana Tourism Authority to initiate action on this request. If properly managed, we are only optimistic that this festival will become a major income earning cultural event for our people and beyond”, Nenyi Ghartey VII stated. On the perennial controversies that surround the festival, the Omanhene advised politicians “to allow for its observation without interference to preserve it for its economic benefits to the Efutu community and those around us”. On his part, Hon Kofi Dzamesi promised the people of Efutu who are mostly employed in the fishing industry: “very soon, the Ministry of Fisheries will be coming to visit your community to address all the problems associated with fishing, especially having to do with premix fuel distribution in this area”. The Aboakyer Festival is celebrated yearly on the first Saturday in May. It attracts diverse tourists from the world over. The Coalition of the Savannah Accelerated Development Authority Civil Society Organisations (SADA-CSOs), have appealed to President Nana Addo Dankwa Akufo-Addo, to make groundnut farming part of his ‘Planting for Food and Jobs’ Initiatives. According to SADA-CSOs, groundnuts had been identified as one of the major cash crops with huge export potentials for the country as the Northern Savannah Ecological Zones (NSEZ), had the greatest comparative advantage. Speaking in an interview with the Ghana News Agency in Bolgatanga on Monday, the Executive Director of the SADA-CSOs, Mr Bismark Adongo, explained that unlike other crops, the growth of groundnuts required less capital injection into its farming since the crop relied on the fixation of nitrogen for its growth and could also be cropped four times in a year. “Ghana, with its favourable climatic conditions and abundant rich soil, has a comparative and competitive advantage in groundnuts and hence is well-positioned to take advantage of international market opportunities to develop the sector,” he said. He stressed that viewing the huge export potentials of groundnuts, there was the need for government, the private sector and NGOs to invest the needed resources in the sector to help reduce poverty in Northern Ghana. He stated that apart from groundnut farming having the greatest potentials of contributing to poverty reduction, it is one of the areas where many women farmers engaged in each season. 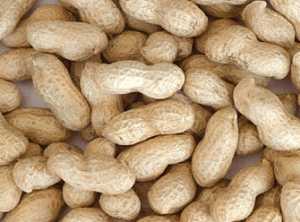 The SADA-CSOs noted that the groundnut production fit into government’s policy of one District One factory and Village One Dam policy and stated that the implementation of the groundnut farming initiative could be improved and expanded for export. The Pests Intelligence Control Unit of Ghana Chamber of Agribusiness Executives can confirm a seemingly invasion of cereal farms in the country by army worms, and call on the Ministry of Food and Agriculture to act with a sense of urgency. The Chamber is urging the ministry to release required supplies to the Agricultural Extension Officers across the country to enable them to visit farming communities and render their valuable services to the worried and affected farmers. We can confirm with certainty that at least four regions in the country have been affected by the army worm invasion. By this release the Chamber is equally sending a strong caution to all agrochemical dealers in the country, not to take advantage of the situation to exploit the distressed farmers by inflating prices of their goods, as that would bring severe consequences on consumers and the country as a whole. We are also calling on the Ministry of Food and Agriculture to as a matter of urgency, incorporate measures in the government’s*PLANTING FOR FOOD AND JOBS CAMPAIGN* to avoid re-occurrence of above invasions in future. Many institutions such as the Institute of Statistical, Social and Economic Research, ISSER, Peasant Farmers Association of Ghana, Ghana Association of Farmers and Fishermen, Ghana Agricultural Chamber, Queen Mothers Associations, Ghana Agriculture Volunteers of Ghana, Federation of Young Farmers Ghana, at a recent youth forum organized by the University of Ghana School of Continuing and Distance Education, to discuss expectations of stakeholders on the government’s Planting for Food and Jobs program, unanimously agreed that the concept would pose great challenges in its implementation as enough stakeholder consultations were not done and called for review of the program in order to ensure its success. One Major issue which has been overlooked in the program is *PEST CONTROL MECHANISMS AND POST HARVEST LOSES* and this we strongly urge the government to consider. Finally the Chamber wishes to call on government to endeavor to provide financial assistance to all farmers taking part in the program to ensure its success. We also call on the telecommunication companies in the country to help farmers by extending excellent network coverage to farming communities, so farmers can take advantage and benefit from many ICT agriculture based programs and most especially social media business and marketing drive information. Food is essential to the development and security of any nation, hence the need to provide the maximum state interventions to arrest the rising cost of food in Ghana. 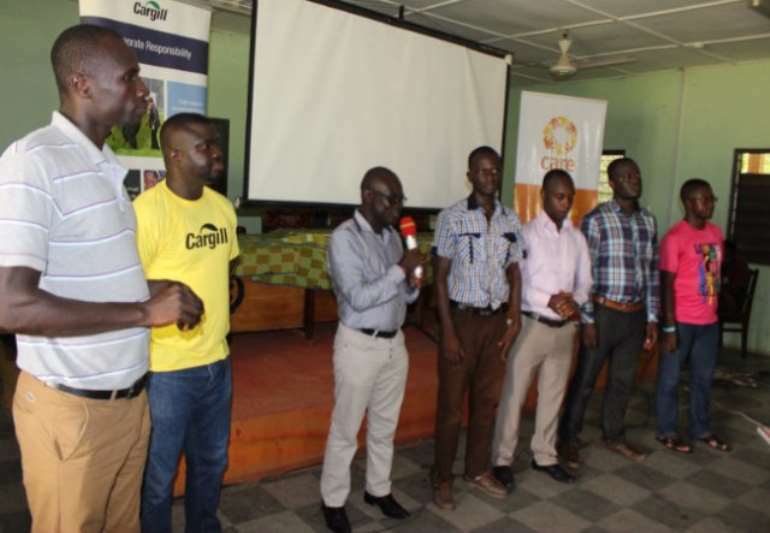 CARE International in Ghana launched the PROSPER Project in Bibiani-Anhwiaso Bekwai District and Sefwi-Wiawso Municipal Assembly respectively. PROSPER, is a community-based intervention targeted at enhancing access to education with the provision of school infrastructure, improving nutrition behavior, strengthening women’s empowerment and building the capacity of people living in cocoa farming communities for sustainable development. The Project was launched in a sequel at Bibiani and Sefwi-Wiawso and was well attended by stakeholders from the respective districts where the PROSPER intervention will be operational. Addressing participants, the District Coordinating Director for Bibiani-Anhwiaso Bekwai, John Nana Owu, expressed his appreciation for the honour done the district to host such a laudable initiative and promised to work together with all key agencies within the district to support the successful implementation of the PROSPER Project. Harnessing on CARE’s achievements over the past 23 years, the PROPSER Project Manager, Dr. Theophilus Nkansah urged all key district stakeholders present to familiarize themselves with the core objectives of the PROSPER intervention and support in areas that aligns with their institutional mandate to make the project a success. According to the Deputy Sustainability Country Lead for Cargill, Samuel Apana, the PROSPER project is a component of Cargill’s global Cocoa Promise, a corporate social responsibility initiative aimed at sourcing cocoa sustainably by improving the livelihoods of individuals living in cocoa growing communities and supporting community development. The components of the cocoa promise include; farmer education, community development, farm development and farmer cooperative formation. He also emphasized that due to CARE’s achievements and the success of previous partnerships, Cargill for the third-time running was excited to partner CARE again for the implementation of the community development pillar. With the support of some selected lead farmers from the Project’s partner communities, representatives from the district and Cargill deputy country sustainability lead, the PROSPER project was declared duly launched. The PROSPER project is operational in four cocoa districts – Sefwi-Wiawso, Asawinso, Anhwiaso and Awaso- in the Western Region of Ghana, within the following political districts: Bibiani-Anhwiaso-Bekwai District, Sefwi- Wiawso Municipality, Akontombra District, and Juaboso District. Ultimately, PROSPER aims to promote a sustainable and food secure world. GNA Accra, April 7, GNA – A European Union funded project dubbed, ‘Ensure Greater Environmental Sustainability and Social Equity in Ghana’s Fishery Sector, has been launched to help promote food security and improved livelihoods in the sector. ‘The good news is that Ghana has worked so hard and today the EU is here to help ensure the sustainability of the fishing sector’, Mr Hanna said. ‘Under this, volunteers in pilot communities-cluster within the Greater Accra Region are being trained and equipped to undertake education and sensitization of their community members on the fisheries laws, report and assist in the prosecution of fisheries infractions, conduct lake and land patrols and also to undertake registration of canoes. ‘Other co-management arrangements to institute rights-based approaches in fisheries resource management are being piloted under the West Africa Regional Fisheries programme in some communities in the marine and inland areas’. Government has reduced the prices of fertilizer by fifty percent.